Tapir motif made for Dwindle: a Tapir’s Tale in 2017. The icon appears, spinning, if the page detects that an illustration for the scene the reader is trying to view hasn’t finished downloading. 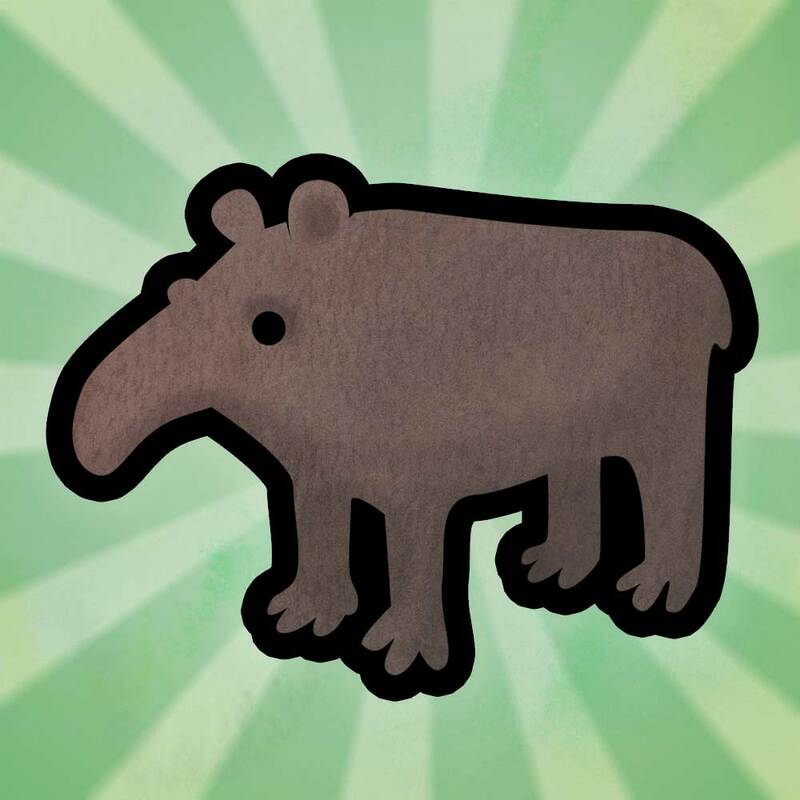 In 2018, thanks to the efforts of several native-speaking friends, some translations of the story are going online — the key one is Spanish (Dwindle: un cuento del danta), since woolly mountain tapirs choose to live in Spanish-speaking countries (although they usually squeak or whistle rather speak in Spanish themselves). World Tapir Day is 27 April, every year. Originally created as black-and-white SVG; background and texture (the same watercolour scans used for Dwindle proper) added for fun here.